Hillary Clinton said that Find a Way would stay with her through the general election: "When you're facing big challenges in your life, you can think about Diana Nyad getting attacked by the lethal sting of box jellyfishes. And nearly anything else seems doable in comparison." 2. You're never too old to chase your dreams. 3. It looks like a solitary sport, but it's a Team. Millions of people around the world cheered this maverick on, moved by her undeniable tenacity to be the first to make the historic crossing without the aid of a shark cage. At the end of her magnificent journey, after thirty-five years and four crushing failures, the public found hope in Diana's perseverance. They were inspired by her mantra--find a way--that led her to realize a dream in her sixties that had eluded her as a young champion in peak form. Diana was a world champion in her twenties, setting the record for swimming around Manhattan Island, along with other ocean-swim achievements, all of which rendered her a star at the time. Back then, she made the first attempt at the Mount Everest of swims, the Cuba Swim, but after forty-two hours and seventy-nine miles she was blown desperately off course. Her dream unfulfilled, she didn't swim another stroke for three decades. 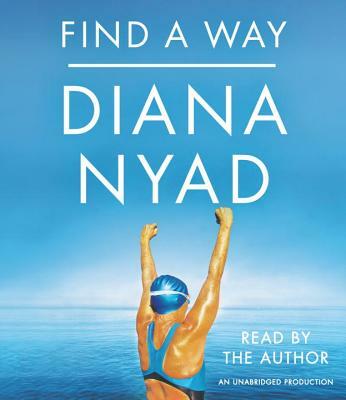 Back in the 1970s, DIANA NYAD was the greatest long-distance swimmer in the world. After setting a world record circling Manhattan, Nyad became a prominent sports broadcaster, filing compelling reports for National Public Radio, ABC's Wide World of Sports, Fox Sports, and The New York Times. Nyad owns a fitness business, BravaBody.com, with best friend Bonnie Stoll. She has written three books and speaks French and Spanish fluently. Nyad has also earned a reputation as a uniquely passionate and entertaining public speaker. From the Hardcover edition.